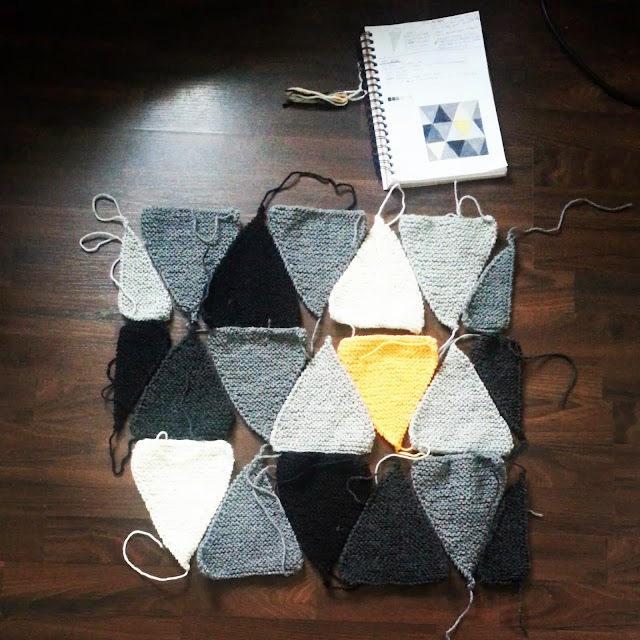 After the felting fiasco, I decided to start the New Geometry project again. These triangles and much sturdier and although I haven't tried felting a swatch, I'm sure they'll hold up once all the pieces are sewn together. 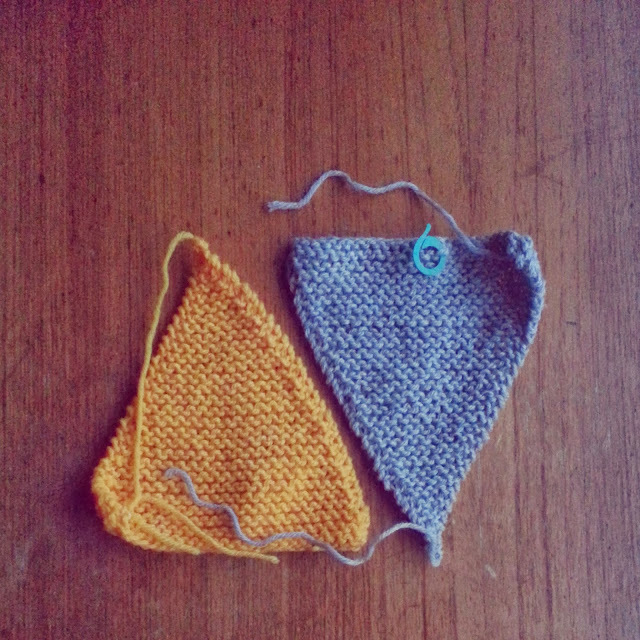 To knit one such triangle... as follows: Size 5.5mm neeldes, DK yarn. 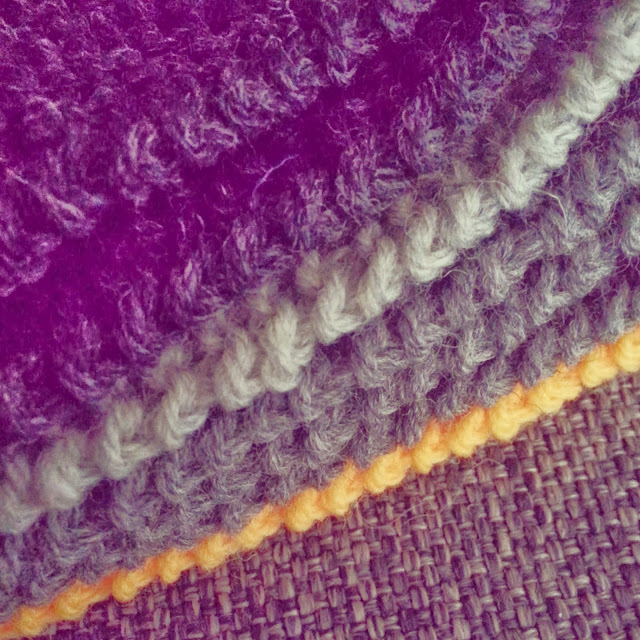 Repeat these four rows until there are 2 stitches left. K2tog, cut yarn, leaving at least 15cms, and pull through the loop. 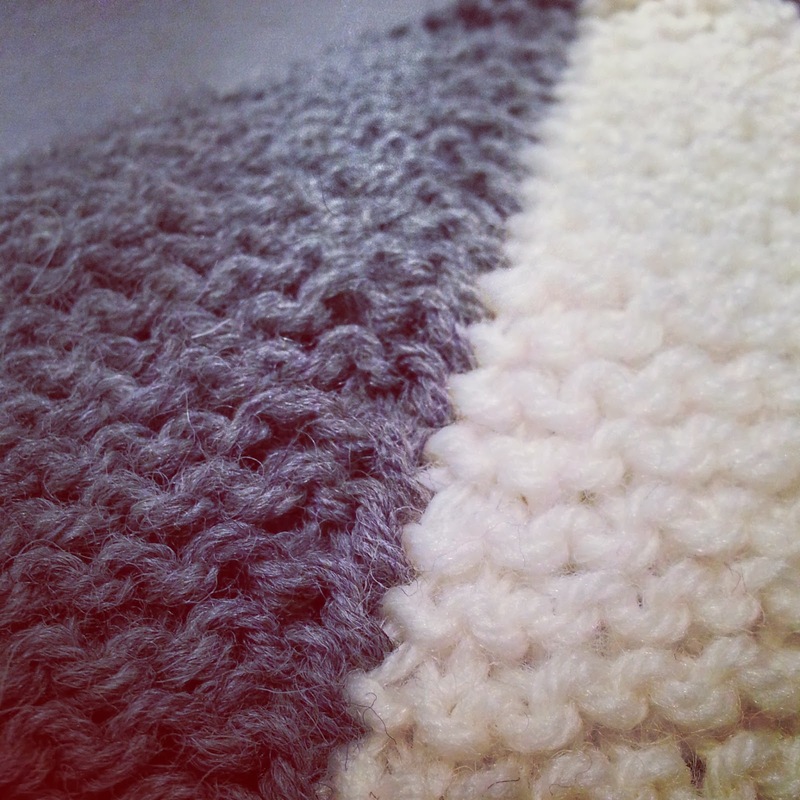 CO 16 stitches and knit one row. 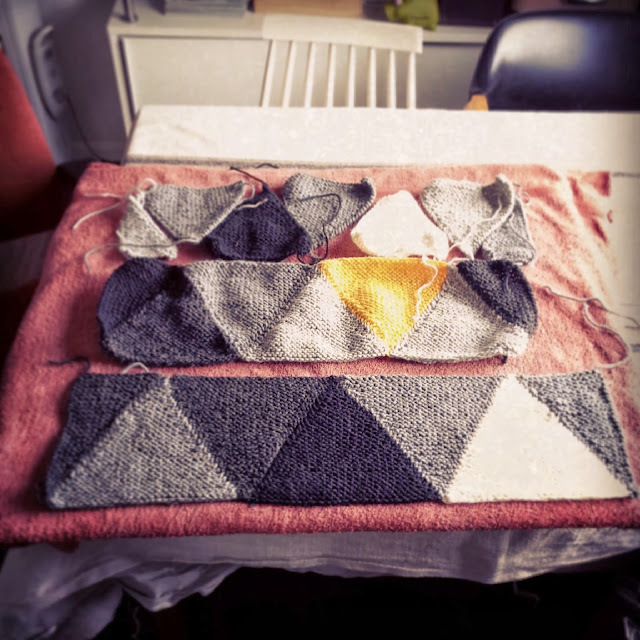 Decrease row: Sl 1, K2tog, knit to the end of the row. For help on neat seams, check out this video.